Ausball Season Starts April 6th! Practice starting April 4th @ Edgely! We’re back on the field Wednesday, April 4th for the 2018 season! 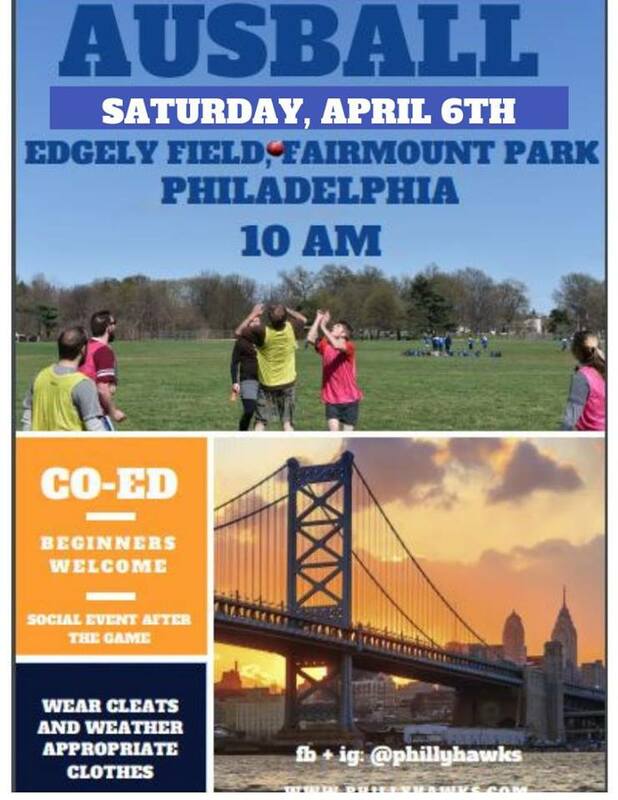 Co-ed Ausball is back March 31st! Hawks bowling night. We’re hitting the lanes at Pepbowl! It’s BYOB and BYO Snacks, so bring your favorites! We’ll have drinks on hand and pizza for a fun night!